Camden UNISON wins a Hays agency worker member at the Council £5000 in back pay who was paid less than permanent colleagues. Agency workers when approached about joining unions are often understandably sceptical. After all, their employer doesn’t recognise unions for any kind of bargaining and despite some modest improvements in the law it still leaves agency workers lagging badly behind in terms of employment rights. But the recent case of an agency craftworker in what’s now called the Camden Repairs Service in Kentish Town shows that our UNISON branch can still make a difference. 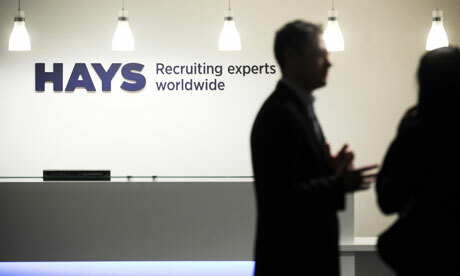 The individual concerned began working through the HAYS agency at Holmes Road in the summer of 2011, shortly before the Agency Worker Regulations 2010 came into effect. Under the regulations after a 12-week period in an agency placement the worker should get the same rate of basic pay as any direct employee of the ‘end user’ (in this case Camden Council) doing broadly comparable work. So, by January 2012 any agency worker who had been on a job since 01 October 2011 should have been receiving the appropriate rate. Unfortunately, however, this didn’t prove the case for the craftworker concerned. In fact, month after month the individual was receiving less pay for working more hours than other directly employed colleagues. Having joined UNISON early in 2013 the agency worker contacted the branch rightly believing that he was being systematically underpaid. Confident of the prospects for a successful Employment Tribunal claim for breaches of the Agency Workers Regulations and unlawful deductions of wages, branch officers raised the case with senior managers at the Housing & Adult Social Care Joint Consultative Committee on 26 March. There was an immediate pledge to look into matters and within the month the member had moved on to the right hourly rate for the job. Even so, the issue of back pay, dating from the start of 2012, was not being addressed. On the one hand, the worker showed remarkable patience, but there is also a simple fear factor for an agency worker when it comes to asserting her/his rights. Finally, in mid-August and after more than four and a half months of emails, ‘phone calls and the odd face-to-face meeting with Camden HR, UNISON had word from a solicitor acting on behalf of HAYS that the member would be receiving £3,000 (minus deductions for tax and National Insurance) by the close of the day on Friday 16 August, with a further £2,000 likely to follow after final authorisation from Camden management. Happily, on this occasion, persistence and knowledge of a rare beneficial change in employment law proved enough and the member didn’t need to spend months of time and energy in pursuing an Employment Tribunal claim. This entry was posted in Uncategorized and tagged agency work, Hays, success. Bookmark the permalink.